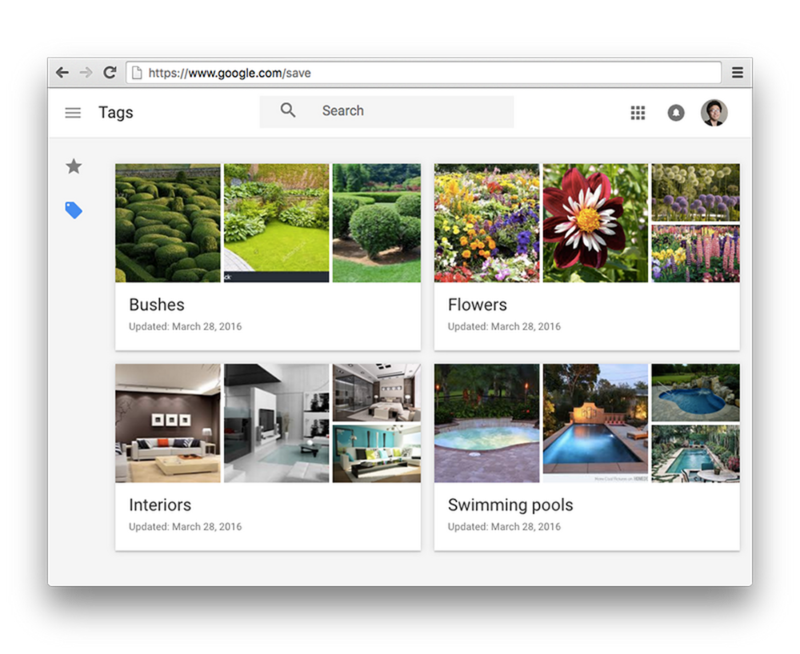 At the end of last year, we announced the ability to save images directly from Google’s image search in your mobile browser. Today, we’re making it easier to stay organized across more devices: now, you can save images to Google from your desktop. 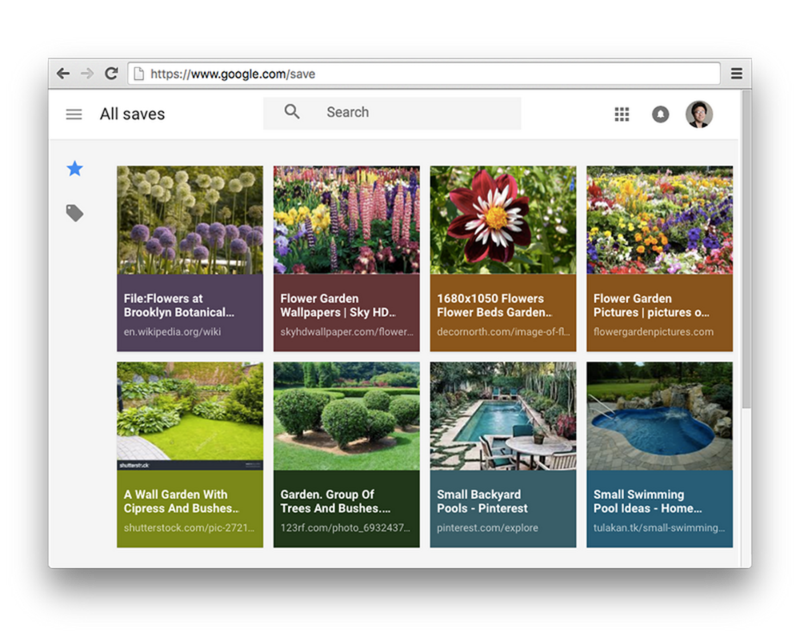 For example, if your yard is in need of some spring re-planting, just go to your desktop, search for an image and tap the star to save your potential new flowers, bushes, or even swimming pools. When you’re at the store ready to start buying, you’ll be able to pull up your saved images on your phone and start building your perfect yard. You can also tag your saves to keep them organized. This feature is currently available in the U.S. when you search for images on desktop and in your mobile browser. To try it out, make sure you’re logged into your browser with your Google Account; then you can start image searching and saving. We’re aiming to make what you search for and save more useful, so start saving to Google and let us know what you think about today’s update.